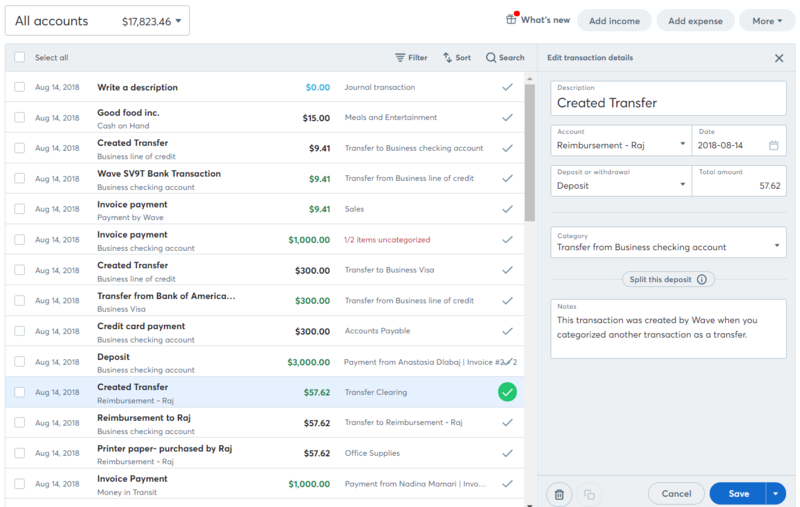 If you created your Wave account any time from the beginning of 2018, you're using the latest version of Wave's accounting features. Throughout this year, we've also been migrating existing customers from the previous version of Wave's accounting feature to the latest version. Here's how you work out which version you're currently using. Did you sign up to Wave in 2018? If you signed up to Wave in 2018, you are on the latest version. If not, what do you see when you edit a transaction? The easiest way to be sure which version you are using is to go to Accounting > Transactions and compare what you see to the examples below. I'm using the older version. How do I get the latest version? We've been steadily working to move all Wave customers to our latest accounting software. Our first priority is to maintain the integrity and consistency of your accounting data. If you're still on the previous version, please know our teams are working quickly to prepare to migrate your account. Unfortunately, we can't migrate accounts on a by-request basis, but we'll have you updated as soon as we can!